Dr Bolat is a Principal Academic in Marketing at the Faculty of Management and Senior Fellow of the Higher Education Academy. She teaches various marketing-related subjects across postgraduate and undergraduate programmes, with particular expertise and interest in digital marketing. She is Deputy Chair for the Academy of Marketing B2B SIG and has interest and expertise in researching and consulting SMEs within the creative B2B sector. Her work has been published in the Journal of Marketing Management, Journal of Business and Industrial Marketing and Journal of Customer Behaviour. Elvira has gained PhD with thesis titled 'Mobile Technology Capabilities and their role in service innovation practices in creative SMEs' and now is supervising other doctoral students in the fields of marketing and management with the focus on digital/interactive marketing. 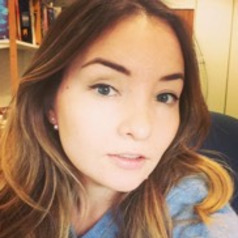 As part of Trust Repair project team, Dr Bolat has interest in examining trust erosion and trust repair mechanisms across traditional and digital media. Elvira's recent consultancy project has covered digital marketing planning and implementation for Dr Jackson's (as part of the Grads for Growth EU-funded scheme), marketing communications campaign for Kudu Clothing and digital marketing consultancy for Eat Pho Ltd.
Bournemouth University, PhD, strategic marketing, thesis titled 'Mobile technology capabilities and their role in service innovation practices in creative SMEs'.